· Feed & hydrate your dog on the go. · Simple pop-up and collapsible dog bowl mechanism. 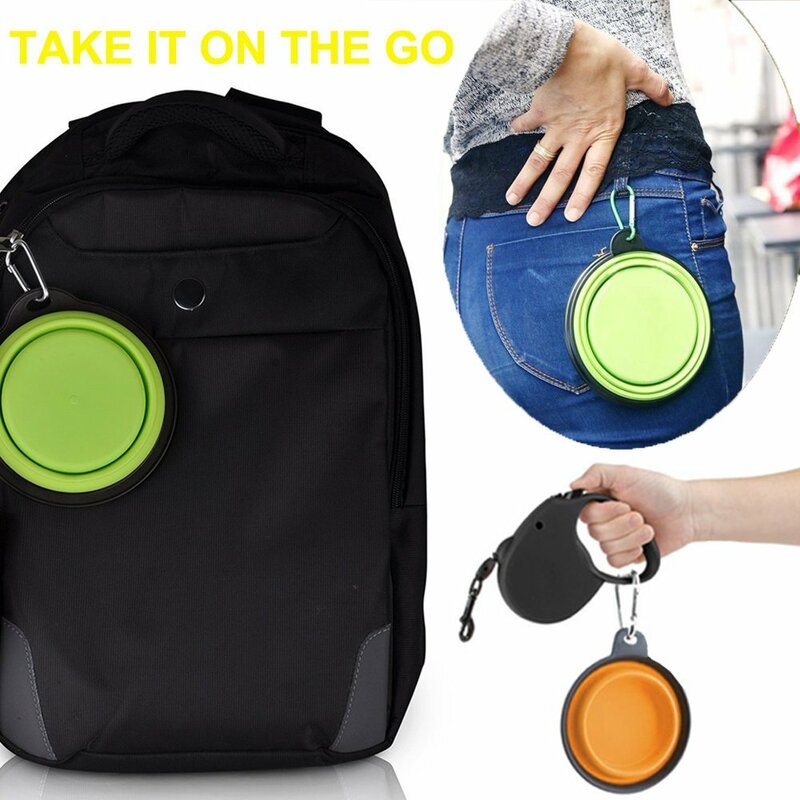 · Easy storage in your backpack, pocket, purse or glovebox. · Dishwasher safe for no hassle cleaning. 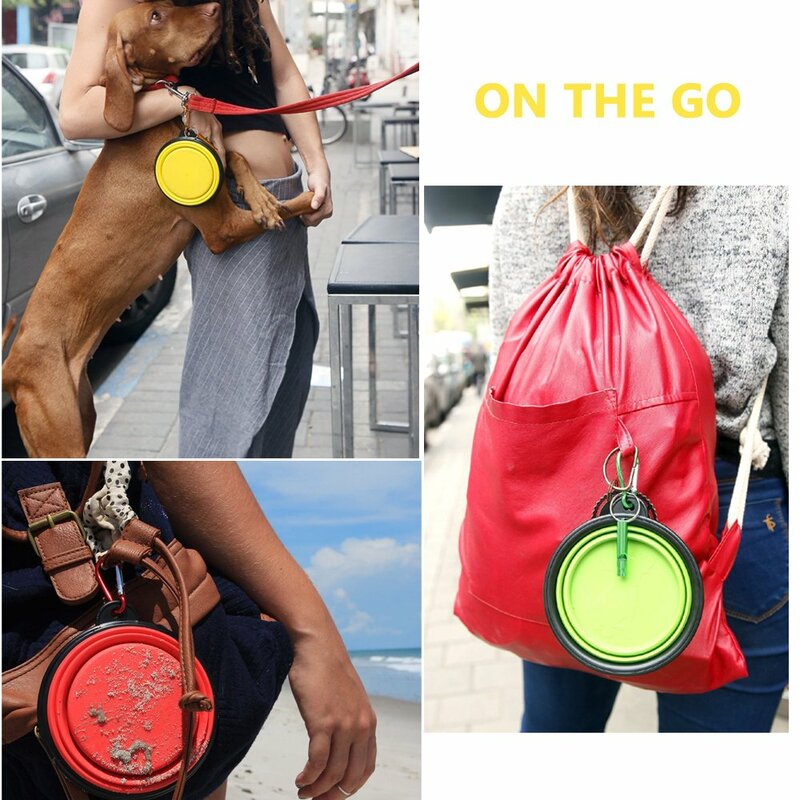 · Includes carabiner, ready for any adventure, from dog park to hiking the rockies. · FDA approved 100% Food Grade silicone, BPA & Lead Free for the whole family. · Simply pop up and fold.